At the same time that Motown was producing some classic records in Detroit, a small label in Memphis, Tennessee called Stax was working it’s own magic. The house band, Booker T. & the MG’s were a tight, funky unit of bass, drums, guitar and organ infused with the blues, country & western and gospel of the Southern states of America. 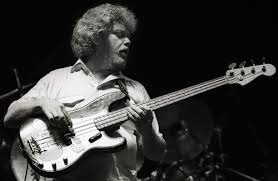 And much in the same way that James Jamerson was to Motown and The Funk Brothers, Donald ‘Duck’ Dunn was to Stax and the MG’s. Dunn’s subtle, yet highly effective melodic lines intertwined with Al Jackson Jr’s on the nail drumming gave the Stax sound it’s solid foundation. Once you added in Steve Cropper’s slinky guitar work and Booker T. Jones’ masterful Hammond B-3 organ then the Memphis label could do no wrong. Stax had an amazing roster of singing talent including Otis Redding, Sam & Dave and Rufus Thomas, but it was the MG’s who gave those singers a platform by creating that Memphis groove. Dunn eventually left the band in 1962 with Cropper going on to form the MG’s with Booker T Jones, Al Jackson Jr and Lewis Steinberg on bass. They had an early hit with the classic instrumental ‘Green Onions’ and when Steinberg left in 1964 Cropper brought in his old friend Dunn to replace him. Booker T. & the MG’s continued to have hits through the sixties with Dunn on board but it was with Stax’s array of vocal talent that they really made their mark with hits like ‘In The Midnight Hour’ by Wilson Pickett, ‘Walkin the Dog’ by Rufus Thomas and several classics by Otis Redding including ‘Respect’, ‘I’ve Been Loving You Too Long’ and ‘Try A Little Tenderness’. The Blues Brothers Band toured and recorded through the eighties and Dunn continued to play right up to his death on May 13 2012 in Tokyo where he died peacefully in his sleep after playing a gig with Steve Cropper the night before. Cropper’s guitar riff backed by Jackson and Jones (on piano instead of organ) gives way to a soul-drenched one chord vamp. Cropper chugs his way around the fretboard (Nile Rogers was still in short trousers in 1967) whilst Dunn grooves a repeated ‘down and up’ figure which holds the whole thing together. He plays it simple during the chorus holding down root eighth, notes lending some tension to proceedings, which are resolved once we get back into the verse again. He handles the bridge and key change with aplomb before we head into the fade with that bouncy down and up figure again. I’ve already covered this track in my very first blog when I almost wore the grooves out on an original 7″ single as a teen. It’s certainly worth revisiting this mournful, poignant song (it was released after Redding’s death and he never got to hear the finished version) just to listen to Dunn’s understated, yet highly effective, work. The introduction features a simple three note bass line which is now an instantly recognisable classic. All he does is play the root of G and hammer-on up to the fifth of D from the C a tone below. Simple, but brilliant. The verse grooves along using roots and fifths again until Redding sings the title of the song where he cleverly follows the vocal line with an ascending line of his own, before going into the opening figure again. Sublime. 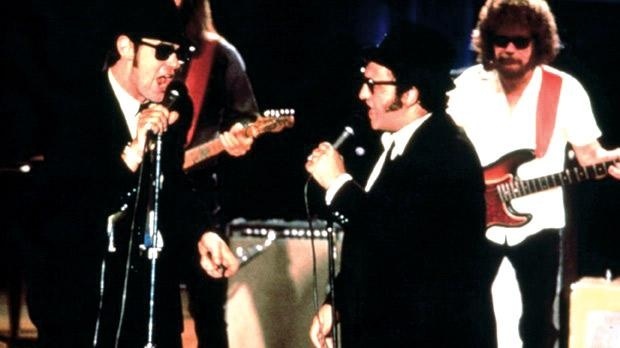 It would be churlish not to include a Blues Brothers track so here is Dunn and the boys getting down with Ray Charles. Again, the bass drives things along with the drums and just listen to the end segment after the ‘call out the dance’ section- there is some glorious octave work and a walking section where no part of the fret is left untouched. It pays to learn your scales! This entry was posted in Uncategorized and tagged Otis Redding, Steve Cropper by leonwilson12. Bookmark the permalink.